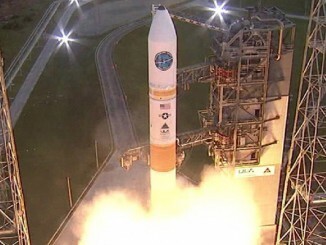 This is the launch highlights reel from United Launch Alliance of the Delta 4 rocket carrying the seventh satellite for the Air Force’s Wideband Global SATCOM constellation. 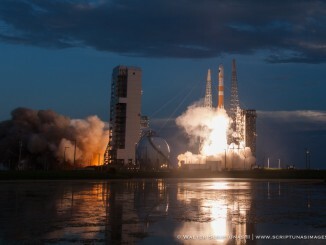 View photos of Thursday’s spectacular sunset launch from Cape Canaveral of a United Launch Alliance Delta 4 rocket with the U.S. Air Force’s seventh Wideband Global SATCOM communications platform. 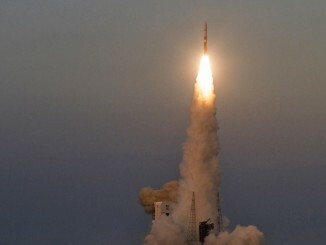 A replay of the United Launch Alliance Delta 4 rocket launching the Air Force’s Wideband Global SATCOM communications satellite No. 7 from Cape Canaveral, Florida. 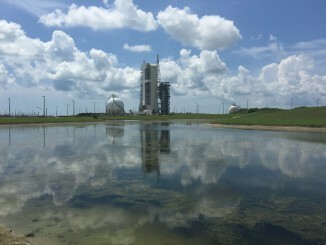 The forecast of stormy weather prevented rollback of the mobile service gantry and the continuation of the countdown at Cape Canaveral on Wednesday for the United Launch Alliance Delta 4 rocket. 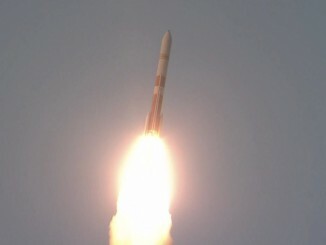 The launch of the seventh Wideband Global SATCOM military communications satellite aboard a Delta 4 rocket booster occurred tonight at 8:07 p.m. EDT (0007 GMT) from Cape Canaveral. 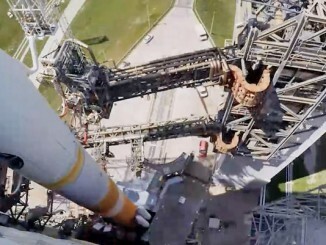 Using a new, uprated main engine for the first time on a rocket of its kind, a United Launch Alliance Delta 4-Medium+ vehicle will soar into space Wednesday night carrying a $566 million Air Force communications satellite. 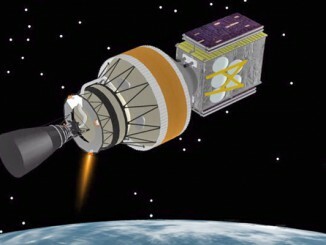 Follow the Delta 4 rocket’s ascent into orbit from Cape Canaveral’s Complex 37 launch pad with the U.S. Air Force’s WGS 7 communications satellite. 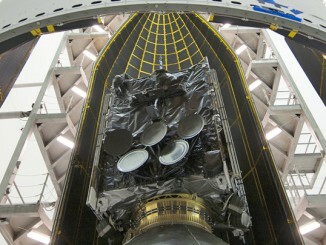 This collection of photographs shows the Air Force’s Wideband Global SATCOM communications satellite No. 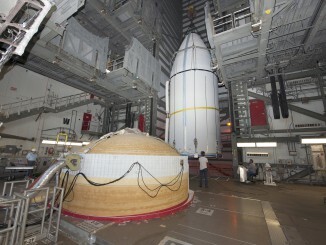 7 being encapsulated in the United Launch Alliance Delta 4 nose cone and hoisted atop the rocket for launch July 22. 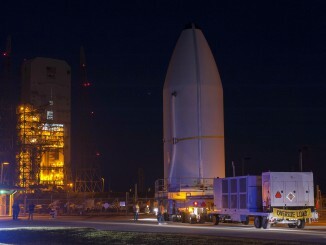 For the second time this week, United Launch Alliance has delivered an Air Force payload to one of its Cape Canaveral pads for liftoff in July.